Warren will work with you to tailor your sales and marketing to match your books message online. He will also help you understand what your customers are saying, giving you the tools to use and then how to automate the process minute-by-minute. 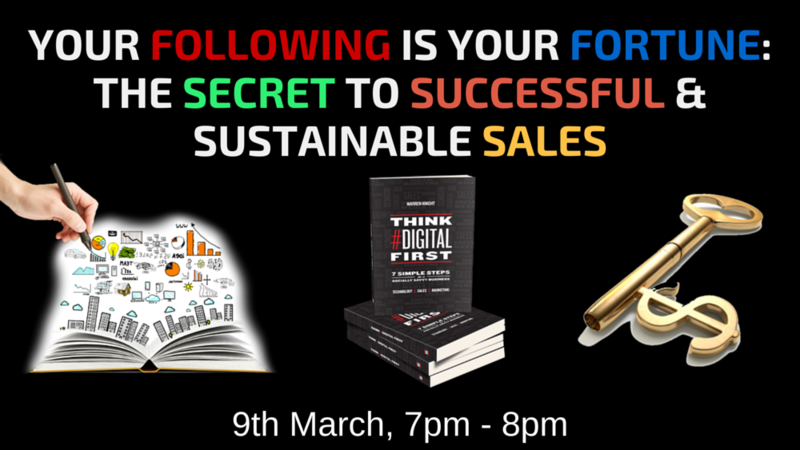 Warren will show you how to use the tools to analyse your sales and marketing campaign and share the step-by-step process to implement into your weekly marketing strategy. BONUS: Warren will give you the tips, tactics and templates and a workbook to use for all future sales and marketing campaigns. Wednesday, 9th March at 7pm – 8pm. In this ONE hour online MASTERCLASS, you will learn how to get “SALES” for your book, using a 4 STEP ROADMAP. This ONE hour MASTERCLASS is designed for AUTHORS that are ready ACCELERATE their book sales or get prepared to launch their book. I will share with you a Weekly Strategy and a 90 Day Plan, driven by a 12 Month Marketing Strategy to get your book in front of the right person and on the 1st page of Google.